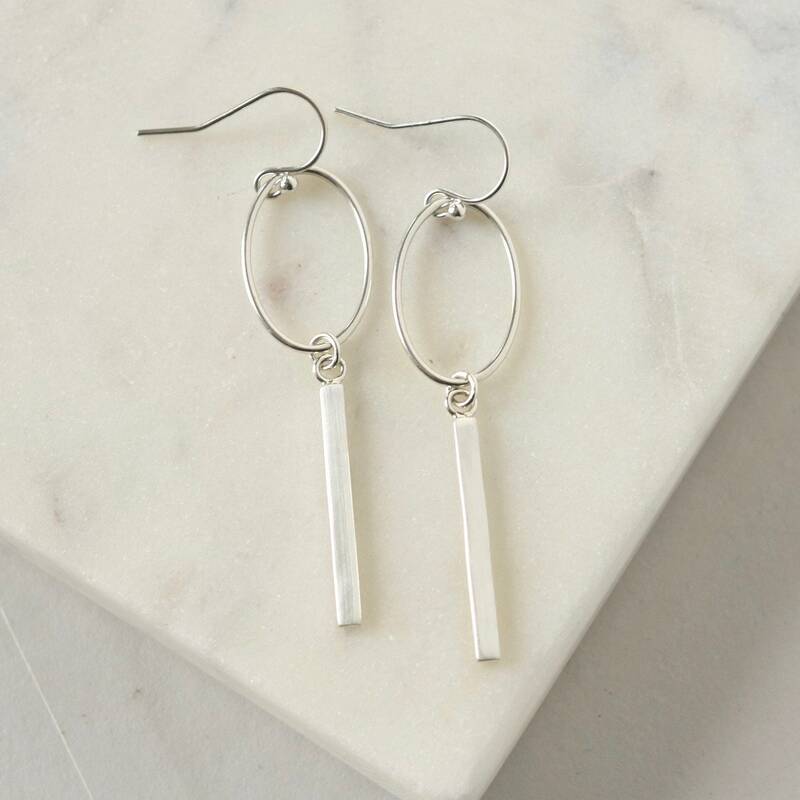 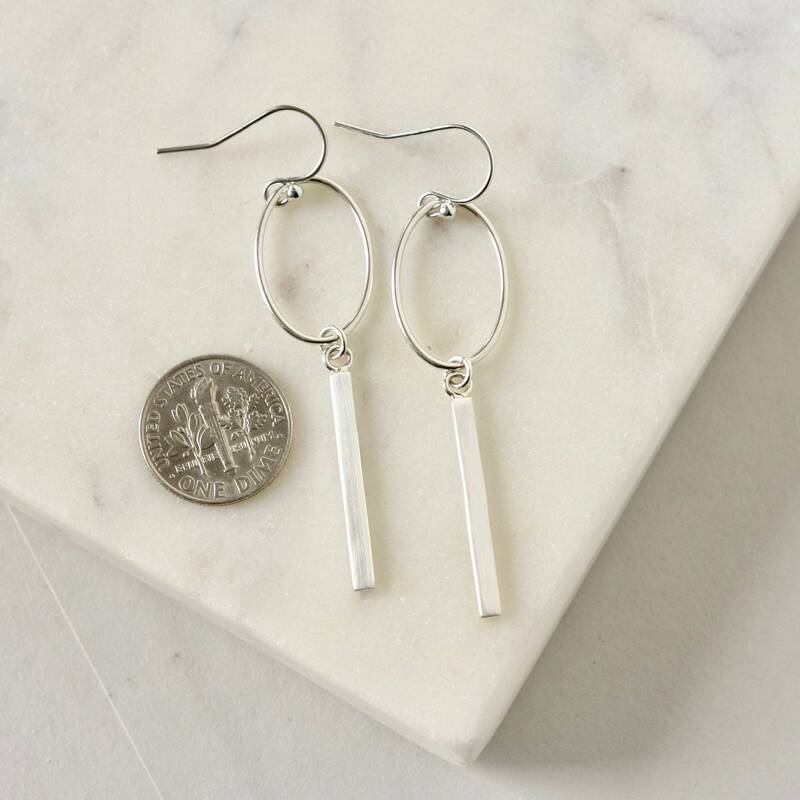 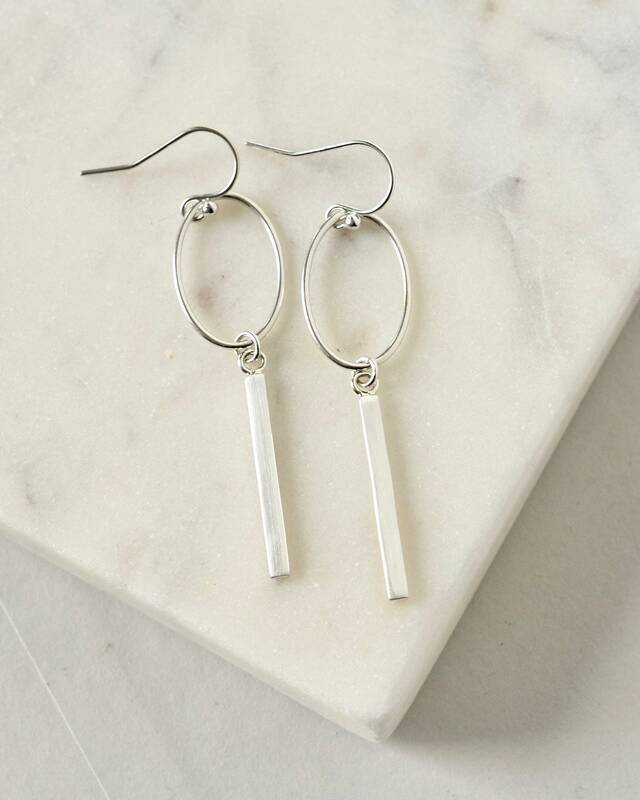 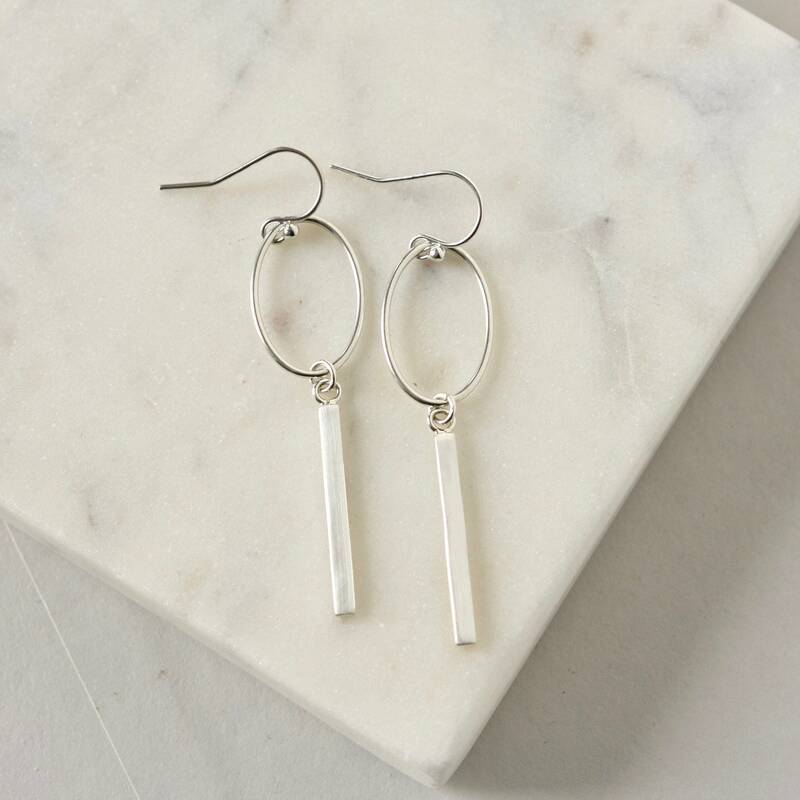 A modern and sleek pair of earrings with a trendy geometric look! 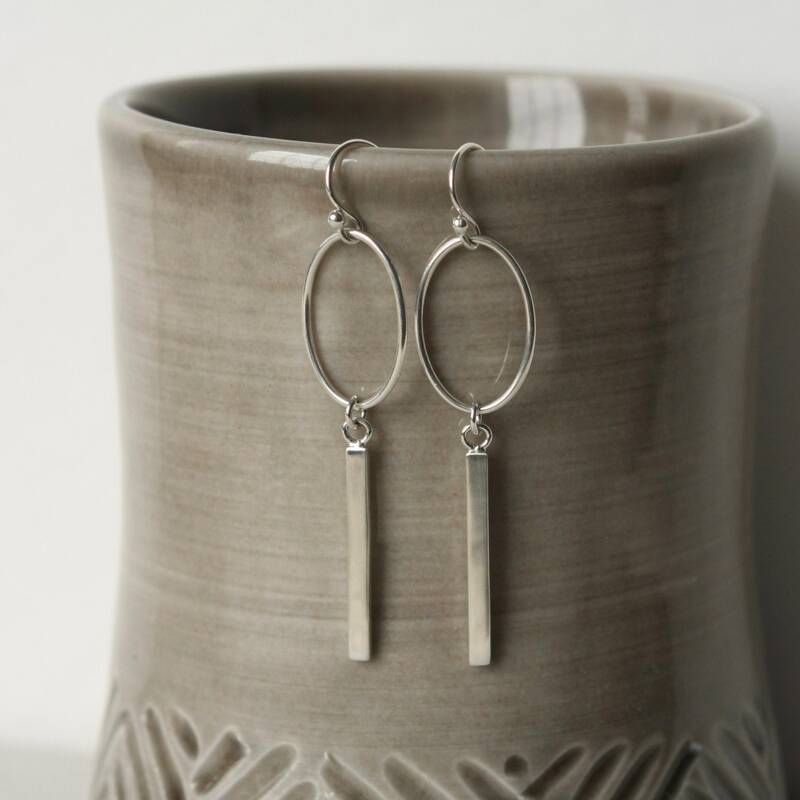 These long dangle earrings feature 20mm sterling silver circles with 35mm sterling silver bars dangling beneath them. 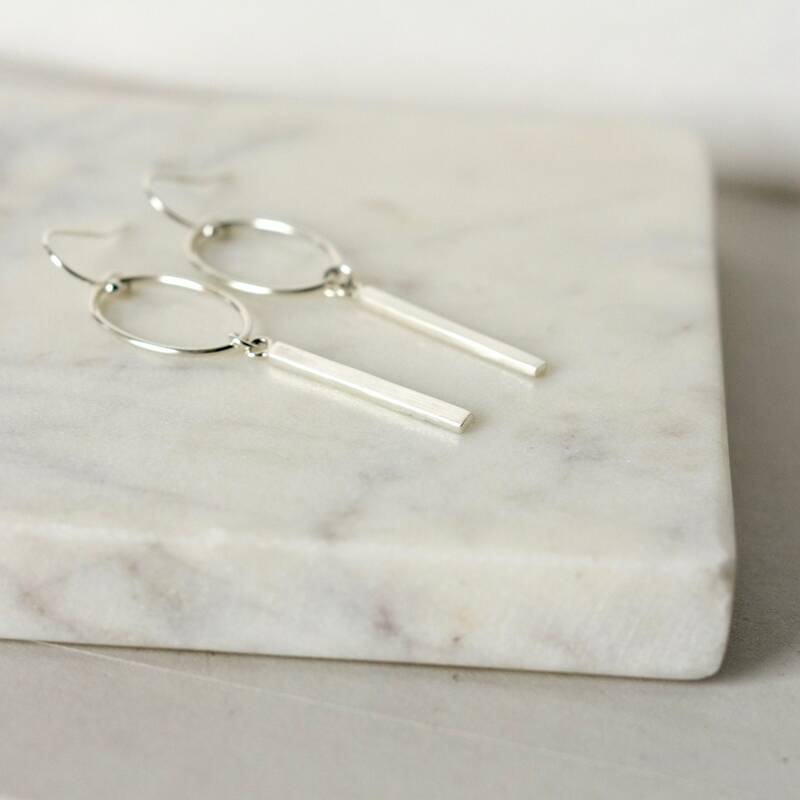 The earrings are almost 2.75 inches long from the top of the sterling ear hooks but are very lightweight and comfortable to wear. 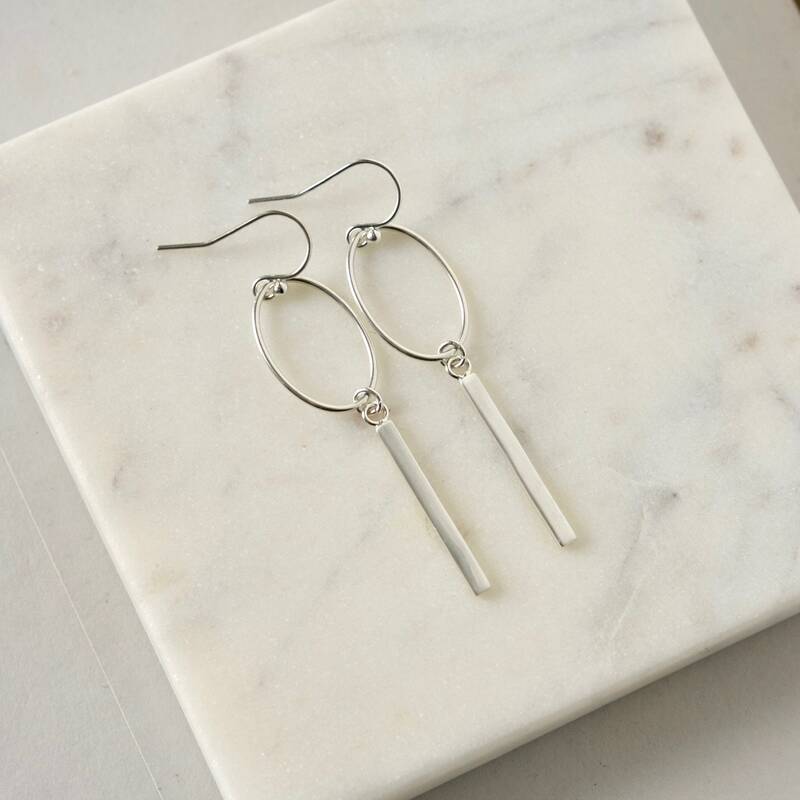 They have great movement and the polished silver catches the light for beautiful shine.